An acclaimed figure in both the opera house and on the concert platform, in recent seasons Lionel Friend has made debuts with the Royal Danish Opera and Polish National Opera conducting THE DEVILS OF LOUDUN by Penerecki, returning to Copenhagen in 2014 for Gershwin’s PORGY AND BESS and to Warsaw for the Polish premiere of André Tchaikowsky’s THE MERCHANT OF VENICE, an opera that received its UK premiere under his baton in a production by Welsh National Opera in 2016 and will also be featured at the Royal Opera House, Covent Garden in 2017. Applauded in Budapest for a concert of contemporary Hungarian orchestral works and in Norway for a programme of Berg, Webern and Zemlinksy as well as for a concert performance of DER FLIEGENDE HOLLÄNDER with the London Lyric Opera and the Royal Philharmonic in London, his current orchestral repertoire ranges from Haydn and Weber to Messiaen, Lutoslawski and Britten. Lionel Friend was educated at the Royal College of Music in London, where he won all the major conducting prizes. Following private study with Hans Schmidt-Issesrstedt and Sir Colin Davis, he made his debut conducting LA TRAVIATA with Welsh National Opera and was also conductor and chorus-master for Glyndebourne Festival Opera and Glyndebourne Touring Opera, specialising in Mozart. For three years he was Kapellmeister at the Staatstheater in Kassel, Germany. 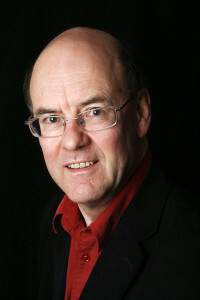 On returning to the UK, for thirteen years Lionel Friend held the position of Staff Conductor to the English National Opera, conducting more than thirty different productions, including the world première of David Blake’s THE PLUMBER’S GIFT and working with such directors as Jonathan Miller, Joachim Herz, Götz Friedrich, Harry Kupfer, Richard Jones, Keith Warner and Graham Vick. At ENO he also assisted conductors such as Charles Mackerras and Reginald Goodall, a highly influential musician with whom Friend collaborated on all his Wagner productions in London. For two years Lionel Friend was part of Daniel Barenboim’s team for THE RING at the Bayreuth Festival and in 1992 also acted as his assistant with the Chicago Symphony in a major Mozart project. Until 1996, he was Music Director of New Sussex Opera. Their productions of DER FLIEGENDE HOLLÄNDER in 1988 and TANNHÄUSER in 1990 both won substantial critical acclaim. As Music Director of Nexus Opera, he prepared a highly praised CURLEW RIVER (Britten) for the Bath Festival and subsequent BBC Television broadcasts and a Prom in the Royal Albert Hall. He has conducted opera for BBC Radio (including three further world premières), the Aldeburgh Festival, Radio France, Queen’s Festival (Belfast), Netherlands Opera and Opera Northern Ireland. After making his début at La Monnaie in Brussels, when he was in charge of the European première of Jonathan Harvey’s INQUEST OF LOVE, he returned there in subsequent seasons for UN BALLO IN MASCHERA and PETER GRIMES. At the Frankfurt Opera he has conducted Mozart and Dallapiccola, in Los Angeles GRENDEL by Elliot Goldenthal. After a notably successful first appearance with The Royal Ballet at the Royal Opera House, Covent Garden in 1991, he joined them on their 1993 European Tour and for performances at the Met in New York the following year. In addition to opera and ballet, Lionel Friend has also given concerts and recorded with many of Europe’s principal symphony orchestras and choruses, as well as all the BBC orchestras and many others in the UK. He first appeared with the BBC Symphony in 1977 in Paris as co-conductor with Pierre Boulez, and has subsequently made many studio and commercial recordings with them. Following his début with the Royal Liverpool Philharmonic Orchestra in 1994 he was immediately re-invited for further concerts; and at Simon Rattle’s invitation he conducted a number of programmes with the City of Birmingham Symphony. He has a long-term relationship with the Nash Ensemble both in concert and recordings (that include works by Schoenberg, Debussy and Britten), and recorded L’histoire du Soldat with the Scottish Chamber Orchestra and orchestral works with the BBC Scottish Symphony. In 2007 he conducted the Royal Philharmonic Orchestra in an operatic programme with the baritone Bryn Terfel. Other engagements have included Schubert FIERRABRAS for Buxton Festival, RIGOLETTO for Teatro Municipal (Rio de Janeiro), FALSTAFF for Opera North (Leeds), LE NOZZE DI FIGARO in Belfast, LA FINTA GIARDINIERA in Holland, MADAMA BUTTERFLY in Nebraska, a Ravel/Poulenc double-bill and THE TURN OF THE SCREW for Grange Park Opera,THE PEARL FISHERS for Portland Opera (USA), SALOME for English National Opera, London, and in 2015 Siegfried Wagner’s AN ALLEM IST HÜTCHEN SCHULD; symphony concerts in Germany, Belgium, Norway, Hungary and Australia. Recent premières have included Tavener’s Let’s Begin Again at the Norwich Festival, Birtwistle’s Pulse Shadows, The Woman And The Hare, Cantus Iambeus and Elliott Carter’s Mosaic, all on London’s South Bank; as well as works by Turnage and David Blake’s Scoring A Century.